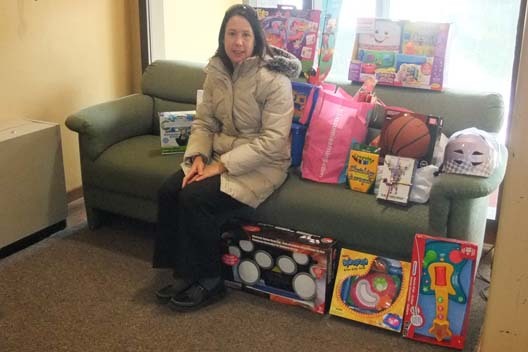 The Grand Erie School Board, Elementary Program Staff made a gracious donation of toys to be used throughout the year. The group decided to forego a gift exchange and were asked to purchase a toy that reflects something about their life outside of their employment, and their colleagues had to guess who the toy was connected to. Pictured in the photo is Nancy Norton, Coordinator of the elementary program.